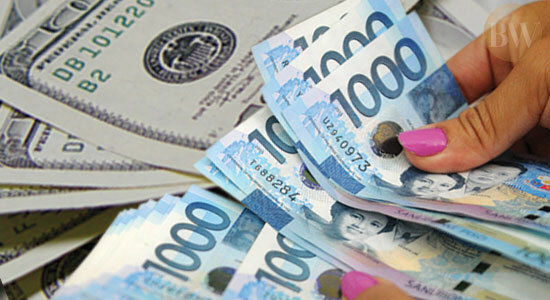 MANILA, March 17 (PNA) -- Strengthening of the US dollar against other currencies along with repayments by the national government (NG) of its foreign liabilities helped lower the Philippines’ outstanding foreign debt in end-2016. The Bangko Sentral ng Pilipinas (BSP), in a release posted on its website Friday night, said outstanding external debt of the Philippine government and the private sector as of end-December last year declined by 2.4 percent to USD74.8 billion from the previous quarter’s USD76.6 billion. Year-on-year, the debt level is also lower compared to the USD77.5 billion in end-2015. BSP Governor Amando M. Tetangco Jr., in a statement, said that aside from the payment of the government of its liabilities, another factor in the quarter-on-quarter drop in the country’s debt level was the audit adjustments on the liabilities done in the previous months. Specifically, revaluation adjustments as a result of the dollar’s appreciation against the Japanese yen, among others, amounted to USD1.8 billion; net principal repayments by the government, particularly the Power Sector Assets and Liabilities Management Corporation (PSALM), amounted to USD611 million, while audit adjustments amounted to USD73 million. The BSP, on the other hand, noted that the effect of these downward adjustments on the liabilities was countered by the transfer of USD591-million worth of government-issued debt instruments from onshore investors to overseas fund sources. He said the country’s gross international reserves (GIR), or foreign exchange reserves, reached USD80.7 billion at the end of 2016, enough to cover 5.6 times of the country’s short-term debt, which in turn amounted to USD 14.526 billion as of last year. As of end-2016, bulk or about 80.6 percent of the country’s foreign debt, have tenors of medium- to long-term (MLT) with a weighted average maturity of 16.9 years. Public sector MLT loans have a weighted average maturity of 22.9 years, longer than the private sector’s 7.9 years. As of end-2016, public sector’s liabilities amounted to USD37.5 billion, lower by USD1.8 billion compared to the end-September 2016’s USD39.3 billion. Private sector’s debt during the same period totaled to USD37.29 billion, down from the previous quarter’s USD37.33 billion. Bulk of the country’s debt as of last year is accounted for those denominated in US dollars, 65.1 percent, followed by Japanese yen, 12 percent; US dollar-denominated multi-currency loans from multilateral lenders - Washington-based World Bank (WB) and Manila-based Asian Development Bank (ADB) - USD12.8 percent.